Billy, Jimmy and Bimmy too! Arc System Works has revealed that the already impressive compilation of Kunio's finest outings is also getting a triple dose of Double Dragon. 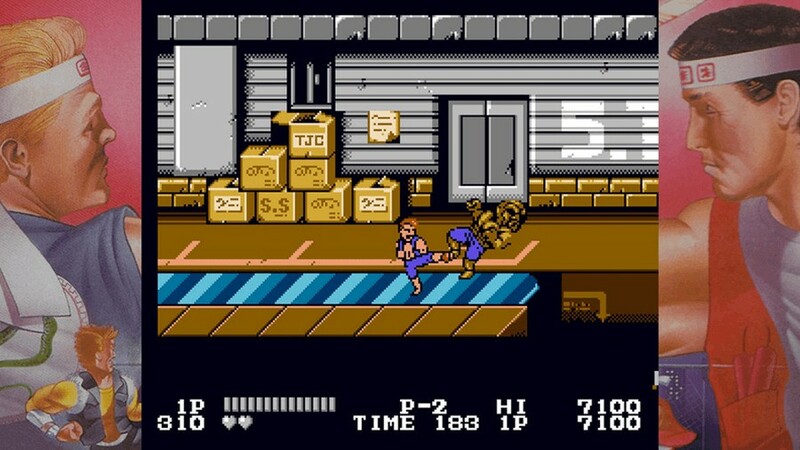 The original NES/Famicom trilogy will be a part of a 'Related Games' section included in Kunio-kun: The World Classic Collection, adding further retro gaming value to what was already shaping up to be a great compilation of fighting/extreme sports titles. Are you a fan of Kunio? 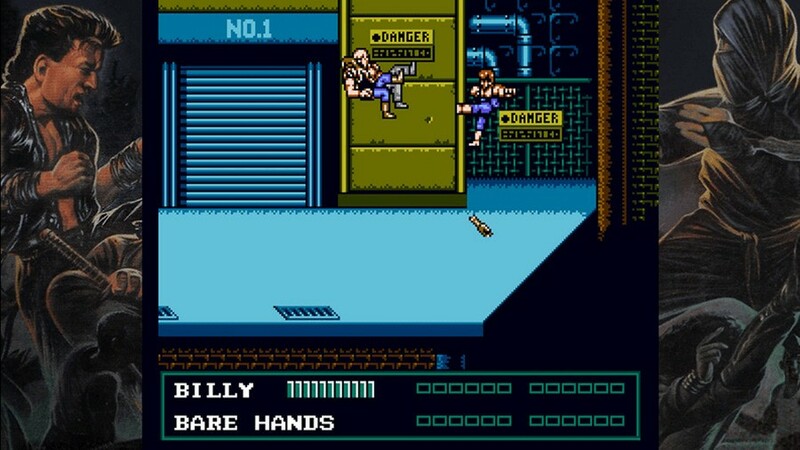 Will you be importing this lovely collection now that you know Abobo will be around busting trough walls? What a great collection! I love that this and the SNK Collection keep adding games to their totals. We’re getting spoiled with great retro goodies. Day 1 for me. The Double Dragon Famicom trilogy is a nice extra bonus, but I was already sold for all the awesome Kunio Famicom sports centric games. Heck, I still play them with friends nowadays, so bring it! Had missed this one. Great stuff! I have been eyeing up a PC Engine recently and one of the Hu Cards I found cheap is Nekketsu Kōkō Dodgeball Bu. @Stocksy At least unlike Darius this one is sensibly priced. @Shiryu It's a must buy for me too, I've always been interested in Kunio-kun games and although I'll kinda have to double-dip on Renegade (I already have it in Arcade Archives version), I'm definitely interested. Didn't have the chance to get the Japan exclusive 3DS collection. So, when is this compilation due? Oh man, as if I needed three more reasons to be excited about this one. What a collection! The only Beat'em Up games i have ever played were Sailor Moon (Forgot the full titles) on SNES & Pulirula PS1. Pulirula was the quirkiest and the funniest ever. @Moroboshi876 Up on the article, December 20th. No international release sadly. @Shiryu I already knew that, sadly, and I don't think they're going to change their minds about it. Thanks for the reminder of the date, I didn't see it at first, the excitement! Well, I have a friend that will be in Japan until 3 days later, so I preordered it on Amazon Japan together with Capcom Beat'em Up Bundle. Free shipping. @Shiryu £40 is still pretty expensive for a collection of NES games. £49 got me a NES Mini and 30 games! @BionicDodo It would be... unless you check the how much the CIB copies go for nowadays. Y_Y This whole deal is a bargain. Loving these collections, tempted to import since I know beat 'em ups aren't the most text-heavy games. Honestly I prefer these types of retro compilations to individual virtual console-style releases, they're such a great value. @Shiryu Agreed, but with Limited Run Games, Super Rare Games, Signature Edition Games, The Play Asia exculsives... its getting expensive to get everything I want... I have 80+ physical switch games so far. I do love physical. I'm a HUGE Kunio-kun and Double Dragon fan. If this gets a US release, I will DEFINITELY buy this! The fact this is such a stellar collection of games helps. If they actually translate these into english, holy crap. I would be one happy onion. But as far as I know, there's no international release. So, I probably won't get it. I can enjoy all of these games on other platforms. @BionicDodo You are absolutely right: the Capcom Belt Action Collection Is an incredible deal! Never would I have believed I would be able to easily carry around some of my all time favourite arcades in such a convenient fashion. Truly we live in the future. This is very sweet lookin'! @Shiryu Amen to that! Although, truth be told, I was playing arcade games like those on my GP2X on the bus 12 years ago. Wait, I thought this was confirmed for a translation and digital distribution outside of Japan? Really disappointed if I just made that up because I wanted it to happen. @bimmy-lee I don't think it's been confirmed for international release yet, but Natsume USA has been doing very well with the series on 3DS and PC, so... maybe we'll get it? I dunno, the sheer number of never-localised games on the collection probably makes this a fairly intense undertaking for localisation -unless- you just forego the translation and hope the fanbase is willing to buy it largely unaltered. Works out 40 quid. At that price on digital will wat for a sale. @tudsworth - Thanks for confirming the non confirmation. I must have read what I wanted to read the last time NL posted about this collection. Definitely a lot of localization work here. I suppose it will be totally playable, but the (sparse) writing in the Kunio games has always been a highlight. Guess I’ll need to learn what symbols constitute “barf”. 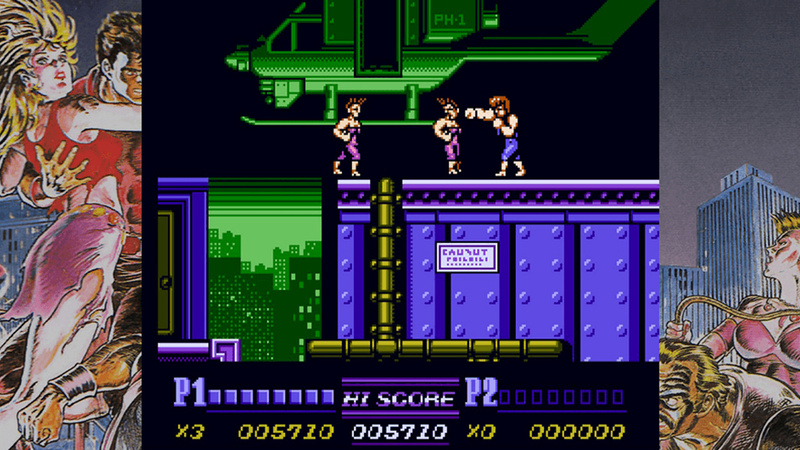 I'm waiting for Super Double Dragon one of my childhood game. That's a fantastic Kunio-kun collection, and the best way to get into the series. I hope someone like Rising Star publishes this in the west. One of my favourite genres when I was younger and still a guilty pleasure. I also still aspire to one day own a Double Dragon II arcade cabinet which makes me ask - why not the arcade versions? @Warioware Switch already has the arcade DD. @Warioware Well Hamster released 2 on PS4 so I presume it's only a matter of time. I would probably get this if they brought it over to the West, but I don't think I'm going to bother the Japanese version. Even though it's not text heavy, I'd like to be able to read everything. It's worth it for DD2 alone. @YANDMAN Well obviously, just based on the number of unlocalized titles alone haha. Just stating my disappointment. So I'm in N.A.. how do I go about getting this physical? Otherwise it's my Japan eShop account to get physical. @MaSSiVeRiCaN Just search around online, the most obvious place being Play-Asia website, it sells games from all regions. @Dazzle appreciate it, play Asia I’m aware of. I was wondering more about amazon.jp but I’ll figure it out. @klingki There is still a lot you can get out of this though. I think i'm interested for DD2 alone.